← Peter Dutton opens Refugee Welcome Festival, the death of satire! In November, join kuril dhagun for the final thought-provoking conversation on sustainability and traditional Indigenous cultural practices at our A night by the fire forum. Plus, kuril dhagun’s next community exhibition, Walan Giiny (strong heart)opens next weekend, with guided tours every Tuesday commencing from 10 November.Read on to find out what else is happening in the Cultural Precinct, or download the new Culturalist app and carry around a guide in your pocket! kreative kuril workshop: creating possum skin armbands Sat 7 Nov, 10am–2pm | kuril dhagun, level 1 | Suitable for ages 15+ | $25 including materials and lunch, bookings requiredPossum skin is an essential material in Indigenous craft and clothing. In the final kreative kuril session for 2015, learn how to make a possum skin armband of your very own.With direction and instruction from experienced Aboriginal artists Glennys Briggs and Carol McGregor, use traditional techniques to manipulate, stitch and design an armband to take home.The possum skins for this program have been ethically sourced from New Zealand.Image: Possum skin armbands. Available from the SLQ Shop | RRP $16.99Do Not Go Around the Edges weaves together the story of Daisy Utemorrah’s life through parables and poems, illustrated beautifully by Broome-based Djugan artist Pat Torres.First published in 1990, this book will appeal to children and adults alike, exploring themes of memory, family and country. 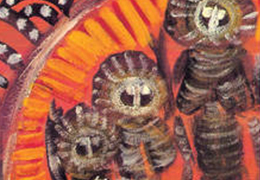 Retold with love and humour, Do Not Go Around the Edges will transport you to a place where time stands still.You can find a great range of Aboriginal and Torres Strait Islander works in the SLQ Shop,online and in store.Image: Cover (detail) of Do Not Go Around the Edges. 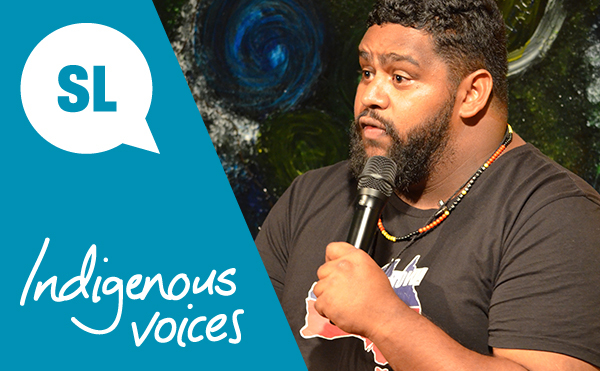 7–10 Dec | SLQ | Register by 13 NovCome along to State Library’s annual Indigenous Languages Discovery Workshop in December to explore the collections for material to support language revival.The workshop is a great opportunity for language workers as well as community members with an interest in traditional language revival, to connect with peers and immerse in SLQ’s language materials.For more information or to register your interest,contact Des Crump, SLQ’s Indigenous Languages Coordinator by 13 November.Find out more about SLQ’s work with Aboriginal and Torres Strait Islander language preservation and revival on the SLQ website and Indigenous Languages blog.Image: Exploring collection material. Photo by Howling Planet. Use the app to discover the many and varied activities at State Library, Queensland Museum, QAGOMA and QPAC based on interest, theme or the time you have available to explore.Follow the ‘Indigenous’ category suggestions to see Queensland’s rich Aboriginal and Torres Strait Islander culture and works showcased across the precinct. For example, start your day off at SLQ with an Our Place tour, before making your way to QAGOMA to tour Aboriginal and Torres Strait Islander artwork.Download Culturalist, your hand-held guide to the dynamic arts and culture at Brisbane’s Cultural Precinct, from the App Store or Google Play store.Image: Culturalist app. Image courtesy of Arts Queensland.Showcasing both traditional and contemporary art forms, Clancestry highlights the continuation, revitalisation and dynamic evolution of Aboriginal and Torres Strait Islander cultures in Australia, and supports genuine, ethical collaborations and interactions between communities.With a diverse selection of free events throughout the week, including a conversation series, workshops, performances and more, Clancestry will demonstrate and celebrate the power and potential of the arts to promote deeper relationships between all peoples. Book your tickets now!Image: Performance at Clancestry 2014. Image courtesy of QPAC. Photo by Mick Richards. 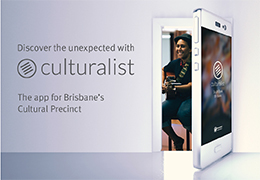 Discover the unexpected with Culturalist Culturalist app available to downloadfrom the App Store and Google Play storeTake in all the Cultural Precinct has to offer withCulturalist, a new free smartphone app designed to guide your visit to the area. Community news Clancestry, a Celebration of Country is coming! 30 Nov – 6 Dec, times vary | QPAC | Free, some bookings requiredClancestry is a week long festival celebrating the arts and cultural practices of Aboriginal and Torres Strait Islander artists. 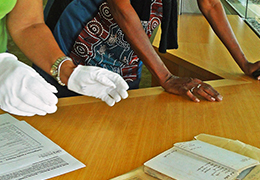 The Flint Collection includes recordings of more than 50 Aboriginal and Torres Strait Islander languages, as well as samples of Torres Strait Creole and Aboriginal English. The first stage of digitisation includes a selection of North Queensland languages — Gugu Nyungkul, Kuku Yalanji and Gugu Bujun — featuring ten speakers from communities across the state.To book, call the box office on 3393 5173 between 12pm and 4pm and quote ‘State Library of Queensland’ to receive discounted tickets for $18 each (usual price $28).This project is supported by Arts Queensland and the Regional Arts Development Fund, delivered in partnership with Artslink Queensland.Volunteer for Yarning with our Mob Every month, 10am | Logan City Council LibrariesEach month on a Saturday, Logan City Council Libraries hold Yarning with our Mob, a free storytime family event celebrating Aboriginal and Torres Strait Islander cultures, presented by the Logan District Aboriginal and Torres Strait Islander Corporation for Elders. .Through a combination of music, acting and dance, the students have created a unique tapestry of performance that shines the spotlight on themes of renewal, choice, opportunity and freedom. to see these emerging performers take to the stage. by Elwyn Flint available digitally to ensure access for communities and the public. Chasing the Shoals — Yindilgal Balkanya! tells the stories of the Moreton Bay fishermen of yesteryear, featuring the last Aboriginal fishing crew on North Stradbroke Island and their deep connection to their past, the land and the sea. The first session was held as part of NAIDOC Week celebrations in July 2011, and it has continued to be a popular community event ever since. The Elders are currently looking for Aboriginal and Torres Strait Islander volunteers of all ages to assist with set up as well as the monthly program, including running craft activities with children and families. For more information and to volunteer, email Debra Cooper. 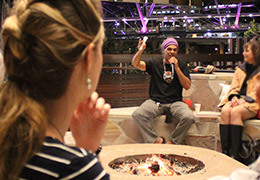 Header image: Boe Spearim presenting at A night by the fire in April 2015. Photo by Jo-Anne Driessens.